Christian a Costa Rican native who has a passion for imagery and culture. Whether shooting a feature film in Bhutan or a precise food commercial, he enjoys the adventure of exploring new territory in his work. Of a very curious mind Christian feeds off learning new technology, always knowing the newest and best equipment to work with. This leads him into experimenting in his work, such as in Award winning: Elektro Awards 2013, Best Music Video – Destructo “Higher” and Lo Nuestro Award 2016, Best Music Video – Ricky Martin “La Mordidita”. 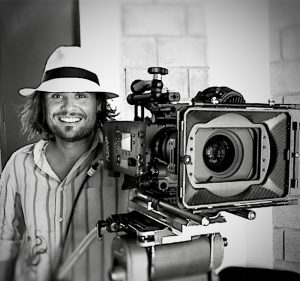 He has been a member of the International Cinematographers Guild Local 600 I.A.T.S.E. since 2009. Living in Los Angeles, but traveling every chance he gets!